VIP Riviera Service is managed by Ralph Holt with dual nationalities French and British. Educated in Paris, he is subsequently trained and specialized in many different fields of tourism and travel operations. He oversees a team of experienced multilingual staff and offers creative and well-designed programmes for the South of France and the French Riviera (Côte d’Azur, Provence) as well as Toulouse, Albi, Carcassonne, Cathar country, Maerseille, Avignon, Aix-en-Provence & the principality of Monaco. Ralph is a long time member of WATA (World association of Travel Agencies), General Secretary of the chapter SKAL Int’l Cote d’Azur and Head of the URCA the informal DMC’s association of the French Riviera. 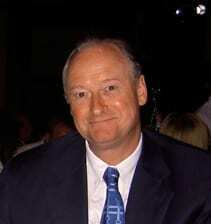 The company was founded in 1979 by Ralph Holt and under his direct management since its creation. It is an independent French licensed and fully bonded travel agency which guarantees its professional commitments. VIP Riviera Service supplies all travel requirements for individuals, groups, incentives and conventions throughout the Cote d’Azur, Monaco and the Provence regions where we have become one of the leading professional destination management companies. We know our country intimately, its customs and attractions and we have developed excellent and friendly relationships with the finest hotels, restaurants, transporters and other suppliers. Our tariff manual lists all our tours, menus and gift suggestions as well as unique activities and fun events for incentive trips. Airport receptions and ground transportation, complimentary inspection trips, welcome packs, hospitality desks, over 50 deluxe coaches, sightseeing tours and excursions, chauffeur-driven cars ranging from stretch limousines to French sedan cars, private aircrafts, leisure and recreational activities, conference services, keynote speakers, site selection, helicopters, luxury yachts and boats with catering facilities, shuttle service, theme parties with costumed waiters in private villas or castles, tailored cabaret style shows, live and pre-recorded entertainment, tickets for major events and dine-around programs throughout the region. VIP Riviera Service has an in-house staff of 5 led by senior executives and takes pride in handling even the smallest group with meticulous care, fully identifying themselves as YOUR Riviera staff. From our centrally situated NICE office, VIP Riviera Service exclusively handles traffic to CANNES, NICE, MONTE-CARLO, the PROVENCE and the LANGUEDOC-ROUSSILLON (Toulouse, Carcassonne, Cathar country) on behalf of overseas operators.